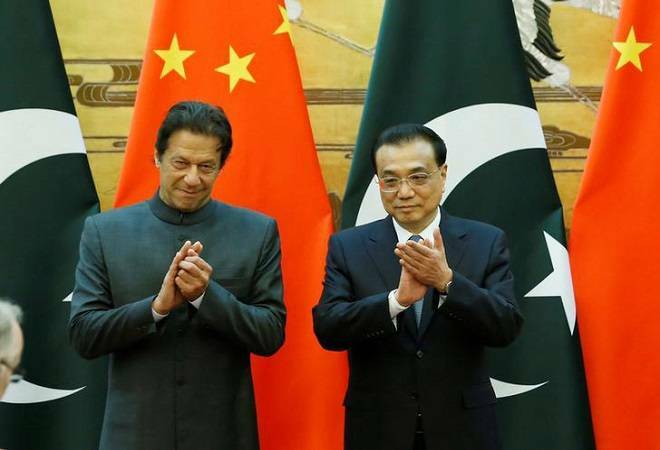 China on Wednesday once again declined to quantify the financial assistance it is willing to provide to Pakistan after the just-concluded visit of Prime Minister Imran Khan to Beijing even as it termed his talks with top Chinese leaders "very successful". Khan visited China from November 2 to 5 during which he held talks with President Xi Jinping and Premier Li Keqiang for China's help to tide over the serious economic crisis faced by cash-strapped Pakistan which included the balance of payments. During Khan's visit to Saudi Arabia last month, the Gulf Kingdom agreed to provide Pakistan USD 3 billion in the balance of payment support and additionally give oil worth USD 3 billion on deferred payment. Earlier reports from Pakistan said Beijing has committed a similar amount during Khan's visit, but Chinese officials declined to confirm it. Pakistan's Finance Minister Asad Umar who accompanied Khan said on Tuesday that China had promised at the highest level to help through an assistance package to tide over the crisis but did not reveal the amount. A team of Pakistani officials was expected to arrive here on November 9 to finalise the details. Asked for her reaction to Umar's comments and how much China has offered to Pakistan, Foreign Ministry spokesperson Hua Chunying said Beijing would provide assistance to the best of its capacity but did not specify the amount. "Pakistan is China's all-weather partner. We enjoy a very good relationship that has been operating at a very high level," she said. "We have been offering our assistance to Pakistan within the best of our capacity. In the future, in the light of Pakistan's need and as per our mutual agreement, we will continue to offer help economically and for the betterment of people's livelihoods," she said. In his comments on Tuesday, Umar said "we had told you about the USD 12 billion financing gap, of which USD 6 billion have come from Saudi Arabia, and the rest has come from China. So the immediate balance of payments crisis of Pakistan has ended. I want to make that clear in unequivocal terms that we do not have any balance of payments crisis now." Before his visit to China, Umar had said that at present Pakistan faced a total of USD 27 billion deficit which included USD nine billion debt repayment this year. Umar's comments of China's assistance came in the backdrop of criticism in the Pakistan media that Khan has returned home empty-handed without securing the firm commitment from Beijing as it remained circumspect due his past criticism of projects of China Pakistan Economic Corridor (CPEC), an ambitious project of President Xi. Some of his ministers too sounded critical of it. Pakistan has recently approached the International Monetary Fund for a bailout package and wants to minimise its loans with the international lender apprehending stringent financial conditions which included scrutiny of the confidential details of the CPEC. During Khan's visit to China, Pakistan media reported that Beijing had agreed to provide USD 6 billion in aid to the cash-strapped country which included a loan of USD 1.5 billion along with an additional package of USD 3 billion for the CPEC. About the outcome of Khan's visit, Hua said, "we believe his visit is very successful". This being his first trip after he took over as Prime Minister, his talks with President Xi and Premier Li helped to establish a good working relationship, she said. "We believe our ties withstood the test of times in domestic and international changes," she said. Besides agreeing to strengthen the all-weather strategic partnership, both the countries have also agreed to expand the CPEC projects and establish strategic dialogue mechanism between their foreign ministers, she said.